RBF provides the fundamental institutional support for RES Foundation in the Network of good energy. Network of good energy is informal network of advanced, forward looking (2030 horizon) Local Self Governments utilizing Civil Society Organizations capacities supported by private sector and development partners to deliver public goods in sustainable energy across Serbia, complementing, inspiring and monitoring efforts of the public administration. The objective of the project Network of good energy is to reduce the energy costs and emissions and combating energy poverty utilizing EU2030 energy and climate framework and Sustainable Development Goal framework with the special focus on SDG 3, SDG 7 and SDG 13. Founding the Secretariat of the Network of good energy in Vrbas, Serbia. Creation of two regional energy and climate plans. Each year two round trainings for local energy managers. Four workshops on the EU energy and climate policies. Ad hoc advices to at least 10 municipalities. Engagement with the National parliament to by informing the members of the parliament on the relevance of the EU approach for the solution of local problems. Gathering data on energy consumptions for more than 50 municipalities. Developed E-Platform for local energy and climate planning. Access on http://www.dobraenergija.org. Developed paper on feasibility of energy cooperatives for promotion of sustainable community energy. More than 100 participants during the founding conference of the Network of good energy. Organized 4 trainings for the energy managers with 56 participants. 14 local-self governments have asked for advice and support from the Secretariat of Network of good energy. Representative of RES Foundation and Network of good energy have talked to the members of parliament on different occasions. Project Network of Good Energy is being implemented within the framework of the Program razvojne komunikacijske podrške organizacijama civilnog društva/Program of developing communication support to the civil society organisation. As of August 2016, the RES Foundation has become a grantee of the Rockefeller Brothers Fund (RBF) for the program Advancing Sustainable Development, Focusing on Renewable Energy Sources. RES Foundation appreciates being part of this network aimed at supporting regional initiatives and at encouraging development of a vibrant civil society. With this support RES Foundation is enhancng the capacity for sustainable development and further pursue its vision and strategies committed to sustainable development and accountability in governance. This project is advancing cleaner air and a healthy climate to the benefit of the public. facilitate the discussion about two expecting National Climate Change Strategy (NCCS) outputs that are announced by the Department of climate change: the first one being a policy review and the second one scenarios. The project contributed to the implementation of the activities envisaged by the recently published draft Program for energy strategy implementation (PESI), and supported the stakeholders active in de-carbonization discussions preparing evidence for informed policy making. The objective of the grant is to inform national energy and climate planning processes in general, and process of National Climate Change Strategy in particular on decarbonization options for Serbian energy sector, through engagement with the academia and energy professionals. Inclusive stakeholders’ consultation process led by RES foundation facilitated collection of academia and energy professionals’ attitudes, visions and knowledge. Knowledge, vision and attitudes of stakeholders communicated to the decision makers, abiding to the principle of inclusive policy making. This principle is not a goal in itself but rather serves the purpose of improved climate change policy and enhanced national ownership of such policy. Inclusive, nationally owned policy is a policy that can be better implemented. Desk and field research, Call for Evidence and visioning workshops served to identify visions of academics and energy professionals on future decarbonized energy sector in Serbia. At the same time this process encouraged such thinking both among the target groups and general public. 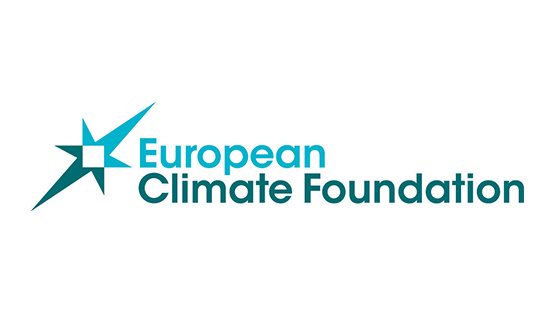 The European Climate Foundation (ECF) aims to foster the transition to a low-carbon society in Europe. RES Foundation is recognized as a valuable partner who can implement and undertake activities in line with ECF vision and strategy. In order to inform the position of the EU, IMF, EBRD, Energy Community and selected national stakeholders on certain macroeconomic consequences of Serbian energy choices, RES Foundation performed research and communicated findings to the major institutions that may affect the future developments in Serbian energy sector. Those developments may have consequences on GHG emissions from Serbia. A detailed analysis of communication profiles of targeted audiences serve as the basis for corresponding communication strategies. In 2015. RES has produced report on the Climate Change Policy in Serbia, and has prepared analysis of the 2014. floods from the perspective of GHG emissions reduction. RES has also researched public policy and financing mechanisms behind the projects for construction of new lignite plants. Objective of this cooperation with HBS is to empower local municipalities to monitor and to plan activities in energy efficiency and use of renewable energy, also to more efficiently allocate scarce public resources in these sectors and pro-actively be engaged with the donors and potential investors. Development of the E-platform for local energy and climate planning. The platform were incrementally developed to cover the entire region. The platform is a part of the RES flagship initiative Mreža dobre energije (Network of good energy) – multi stakeholder initiative for sustainable and climate friendly local energy and is hosted on the dobraenergija.org domain owned by RES Foundation. Provision of ad hoc local energy management services by the RES team. Organisation of partnership conference on WB6 Sustainability Charter and community energy. Preparation of one final draft of Sustainable Energy and Climate Action Plan (SECAP) two municipalities. Preparation of research paper on feasibility of energy cooperatives as tool for promotion of sustainable community energy. Establishment and maintenance of the online forum for support of energy managers. Organization and implementation of training for energy managers in the Secreteriat. Preparation ofthe arrangements for household visits, organisation of visits and preparations of the recommendations. Preparation of consultations and its implementations in Vrbas and neighbouring municipalities. Monitoring Republic of Serbia’s climate policy: Quality of Climate – Can we do more? The overall objective of this project is to support low carbon resilient development in Serbia. Within this project the RES foundation targeted and mobilized two groups of stakeholders groups to participate in the process of National Climate Change Strategy formulation. The RES Foundation facilitates the compilation of inputs from local self-government and private sector through focused discussion panels and call for evidence designed for a broader group of participants. During this project the RES foundation partnered with Standing Conference Of Towns and Municipalities and Serbian Chamber Of Commerce. The project communicates timely the inputs to the Ministry of Agriculture and Environment of Republic of Serbia which coordinates strategy formulation process. It therefore contributes to a more transparent and participatory drafting procedure. The RES Foundation presented the initial findings at the kick-off conference called “Combating Climate Change: Serbia’s Readiness". The Ministry Of Agriculture And Environment Of Republic Of Serbia invited officially the RES Foundation and nominated it for membership in the Project Working Group for development of National Climate Strategy. Influencing the process of preparation of National climate change strategy and its table of contents. Part of the project activities were related to an active involvement of the identified target groups, i.e. local authorities and the business sector, and their contribution to the national climate strategy development process. RES Foundation reviewed potential modalities for cooperation through the prism of relevant stakeholders – local self-government. Results showed that local level is very interested to be timely involved in the process of formulating a national climate policy and believes that it has the capacity to actively contribute. Thanks to the activities undertaken by the project, deficiency of the Climate Strategy have been identified and communicated with the partners in and outside the Republic of Serbia. Project Network of Good Energy is being implemented within the framework of the Civil Society and Media Support Program in the field of European Integration, which is being implemented within the project “Civil Society for the Advancement of Serbia’s Accession to the European Union”. Time availability of the Secretariat of the Network of good energy. The scope and quality of communication activities. The scope of advocacy for expanding and supporting the good energy network. The project showcase how inclusive policy making should look like. All activities served to strengthen the advocacy role of civil society in the EU accession process given that: a) national climate policy is primarily currently driven by the EU accession and b) RES foundation programme director is a member of the national Team Europe independent network established to promote the values of the EU and the process of the EU integration with the citizens of Serbia. Information material (printed and video) prepared using also views collected in the 4 regional panel discussions served to inform citizens of Serbia on relevance of the climate policy for their well-being and the role of the EU in the development of such policy. Through this process RES targets local communities that belong to least developed (devastated, fourth and third group according to classification) and civil society in these areas. Preparation of the information packages is followed by the stakeholder mapping and final selection of the 4 areas where panel discussions were held. Summary of the discussion is shared in the process of Climate change strategy preparation and is followed by the preparation of video promotional material. The overall objective of this project is to improve public health, increase efficiency of resource use, and reduce energy poverty and indoor and outdoor air pollution. draft the corresponding advocacy communications strategy.